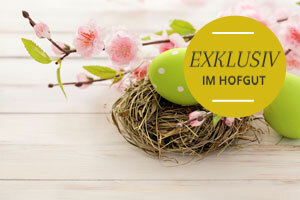 Brele Scholz and Karl Heinz Traut present “outstanding” exhibits. The wooden sculptures by Brele Scholz are real eye-catchers: two “European” heads in the lobby and the figure of “Lena” in the lounge. 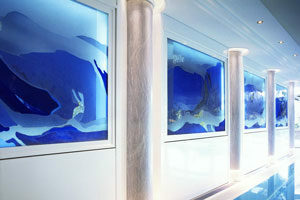 The three glass art pieces by Karl Heinz Traut are illuminated and ornament the full width of the pool in the Spa. Which, like the entire hotel, has a very tasteful interior design. Movement captured in wood: That is what the statue of “Lena” in the Hofgut’s “Fireside Lounge” symbolizes. 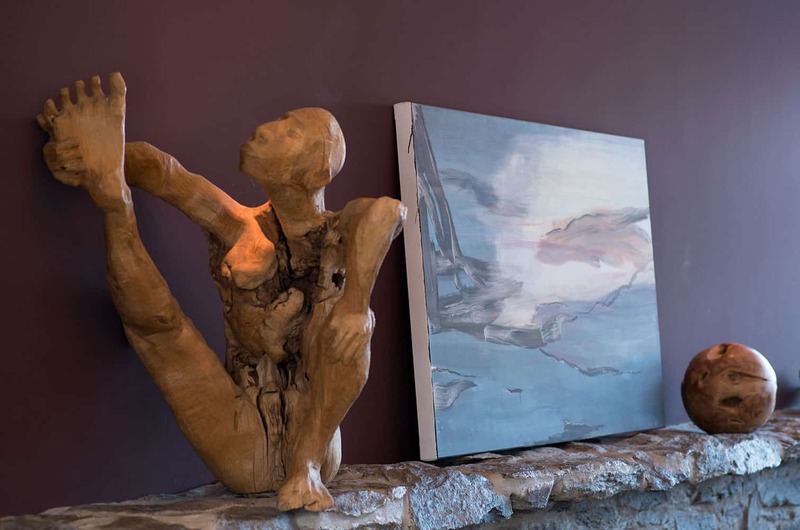 The figure touches and moves anyone who observes it, imbuing the room with an additional sense of comfort and tranquillity. In harmonious interplay. 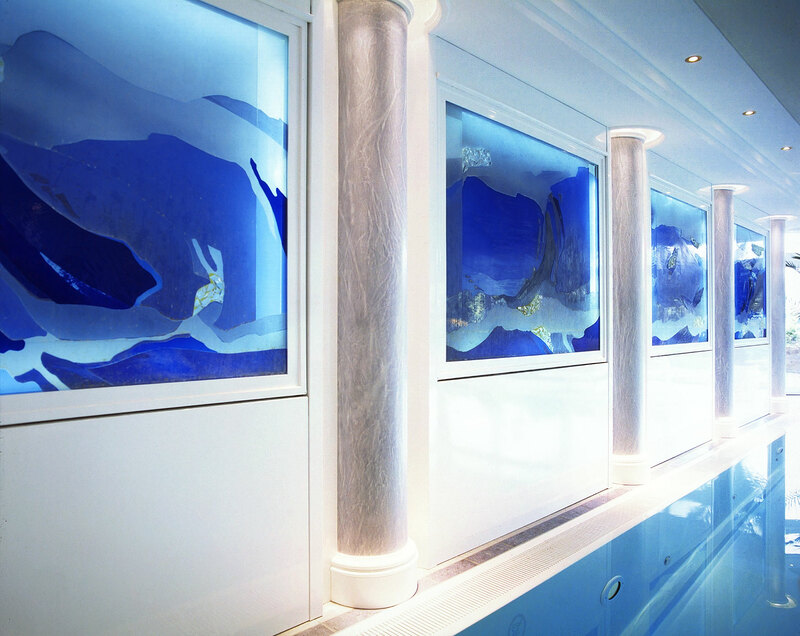 Four glass artworks adorn the large wall above our pool in the Spa. Created by glass artist Karl Heinz Traut. In combination with the pool water and the light from outside, they foster a Mediterranean feeling. 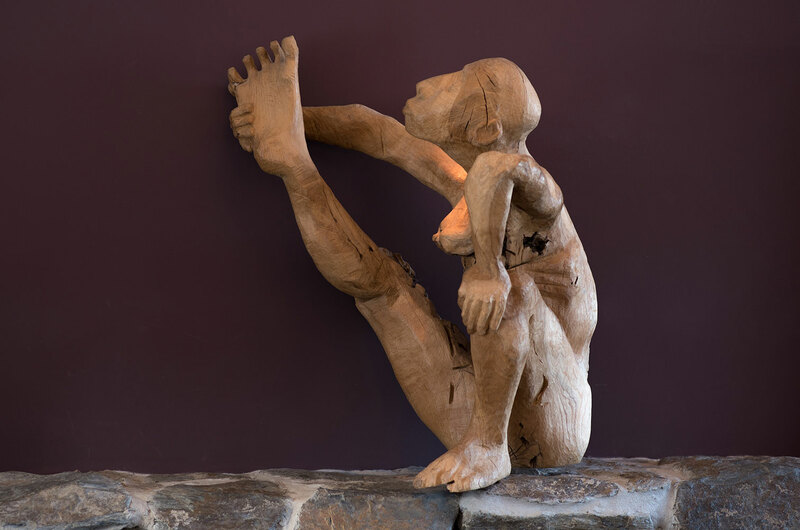 Movement – captured in wood: for this the statue “Lena” stands in the fireplace lounge of the Hofgut Georgenthal. The figure touches and moves at the same time, giving the room a bit of comfort and peace. A harmonious interplay. 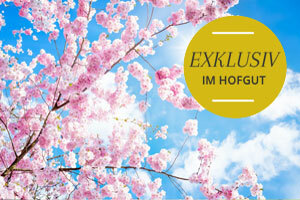 Are you interested in contemporary painting and sculpture? 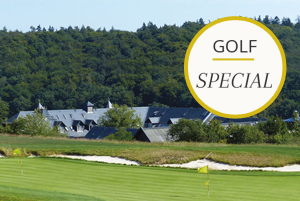 Only five kilometers away from Hofgut Georgenthal with its 18-hole golf course you will find the Kunsthaus Taunusstein-Niederlibbach. The cubist new building, in which the collectors Ulrich van Gemmern and Dr. Irene Haas present works from her collection and other artists. One focus is the work of expressive force in the context of the Berlin violence. 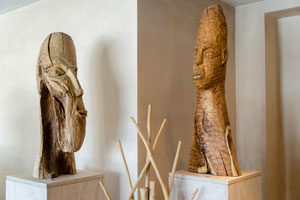 In addition, the exciting work of younger artists is to be discovered, which articulate in different materials and forms. Look for yourself! 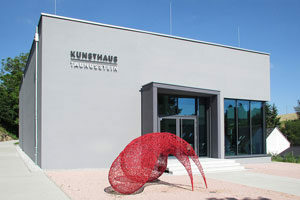 For more information see www.kunsthaus-taunussstein.de.